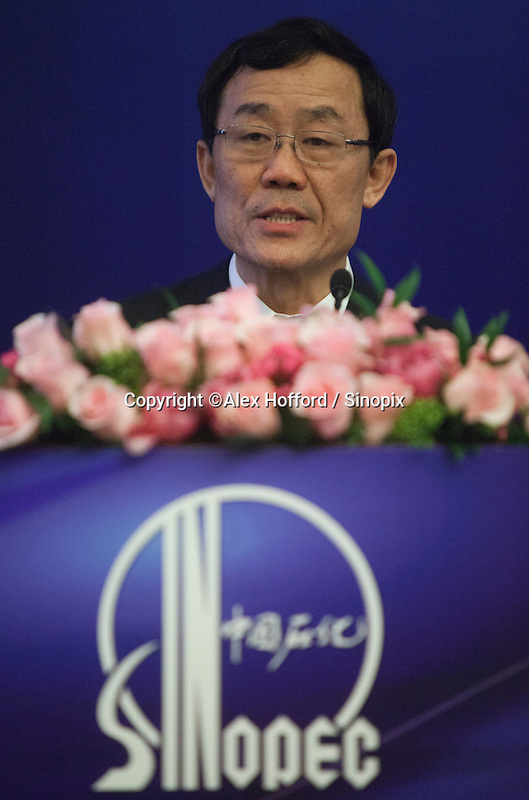 China Petroleum & Chemical Corporation (Sinopec) Chief Financial Officer Wang Xinhua is seen at a press conference to announce the company's annual financial results for the year ended 31 December 2013, Hong Kong, China, 24 March 2014. Sinopec, China's largest upstream refiner of oil and natural gas, announced that profits rose in 2013. The company said it recorded steady growth in 2013 despite sluggishness in the domestic and global economies. The company announced a profit attributable to equity shareholders of the company was CNY 66.1 billion (Euro 7.74 billion), up 3.5% year-on-year, with revenue up 3.4 per cent thanks to "stable" domestic demand.